Diwali Essay In English and Hindi: On the occasion of Diwali this year you will be searching for the essay. 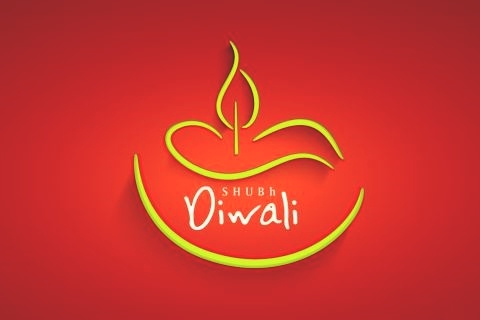 Here I have a sample essay on Diwali in both English and Hindi which will be helpful to you. Diwali is one of the most important Indian festivals of light which is celebrated people all around the world with a lot of happiness & joy. This festival is mainly known because on this day Lord Rama returned excitedly to his home in Ayodhya after fourteen years. Diwali or 'Deepavali’, as it is known as, is the festival of lights. It is celebrated all over India with great enthusiasm and joy. The celebration of Diwali finds its roots in the Hindu religion. On this day Lord Ram had returned to his kingdom Ayodhya after demolishing the demon Ravan. The people enlightened the whole city with diyas to welcome Lord Ram. It is thus a festival to mark the victory of good over the evil. Diwali falls on amavasya that is a 'no moon night' and people enlighten their houses to conquer the darkness. It is a five-day festival. The first day is called Dhanteras or Dhanvantari Trayodasi, when Lord Dhanvantari appeared, delivering Ayurvedic medicine for mankind. This day marks the beginning of Diwali celebrations. At sunset, devout Hindus bathe and offer oil lamps along with prasada (sanctified food) to Yamaraja, the Lord of Death, and pray for protection from untimely death. On this day people buy new utensils or anything in gold or silver. The second day is Choti Deepawali or Naraka Chaturdasi. On this day diyas are kept at any dark corner of the house to symbolize that no evil can enter the house in the lights. On this day Lord Krishna killed the demon Narakasura and liberated the 16,000 princesses the demon held captive. The third day is Deepawali -This is the actual day of Diwali, commonly known as the Hindu New Year. The faithful cleanse themselves and join with their families and priests to worship the goddess Lakshmi, consort of Lord Vishnu, to receive blessings of wealth, prosperity, the triumph of good over evil, light over darkness. This is also the day Lord Rama returned to Ayodhya, having successfully rescued Sita and defeated the demon Ravana. People decorate their homes with diyas, candles and decorative bulbs and lights. Laxmi Ganesh Pooja is performed and then people light up crackers and enjoy themselves. Sweets and rich food are also prepared at home to celebrate the festival. The fourth day is Govardhan pooja, on which the Govardhan pooja is performed to celebrate the great deed of Lord Krishna who lifted 'Govardhan Parbat' on a single finger and gave protection to the people from the heavy rains.Bali Maharaja was defeated on this day by Lord Krishna's dwarf brahmana incarnation, Vamanadeva. And the last day is Bhai dooj on which sisters put 'roli teeka' on their brother's forehead and pray for their wellbeing. Deepawali is thus a unique light festival filled with joys and happiness! Pls take these "Essay on Diwali" as a template and use this information to make your essay more meaningful.